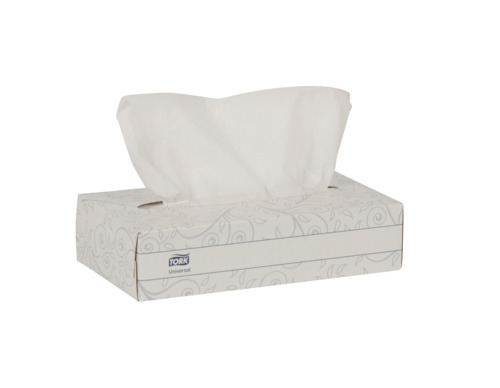 Tork Universal Facial Tissue is a soft and absorbent 2-ply facial tissue which offers the right combination of performance and value. 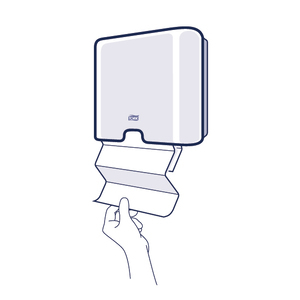 The flat box style is ideal for the vanity or in-wall dispensers. An economical choice, without sacrificing performance, allows for additional cost savings. 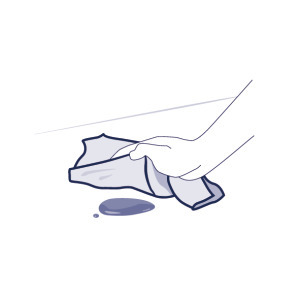 Tissue made from 100% recycled fibers and 20% PC content to help conserve natural resources.